Jo-Ann makes Spring crafting easy during National Craft Month with a $5 off $25 or more purchase coupon and a spring crafting inspiration website. In fact, the fabric I used for my Apron is made exclusively for Jo-Ann. This is such a fun and rewarding project, I hope you follow along and try to make your very own. Now, I did not use all of this fabric. In fact, I probably only used half of it. 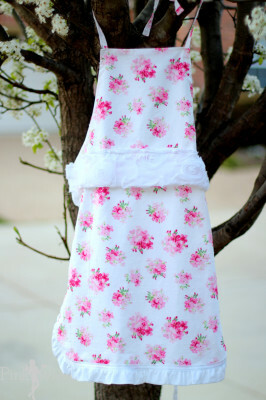 I am going to make my toddler a matching apron for her little kitchen play set that she has set up in her room. Needless to say, if you do not want extra, I would still make sure I purchased a yard of each fabric, and 1/4 yard of the Chiffon. Step 1: Make sure you wash and lightly iron all of your fabric before usage. 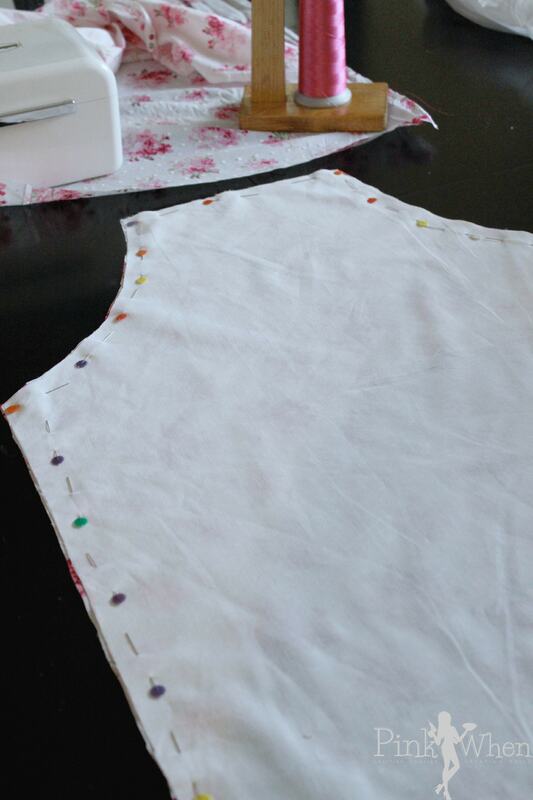 The first thing I did was trace the outline of a smock that I had picked up at a local craft store years ago. I thought it was the perfect size, so I traced an inch around the pattern. 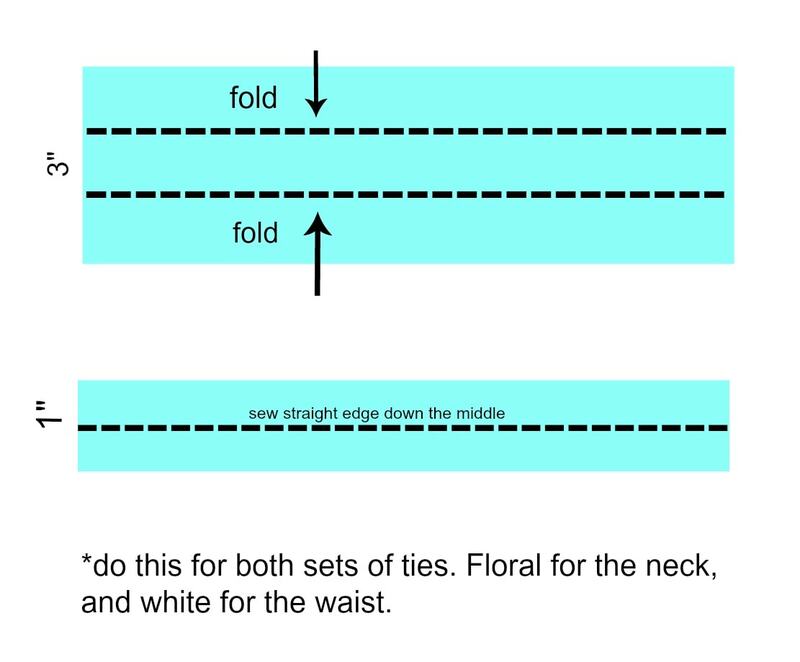 Then make the following cuts for the Broadcloth ties, Floral pattern ties, and Chiffon waistband. 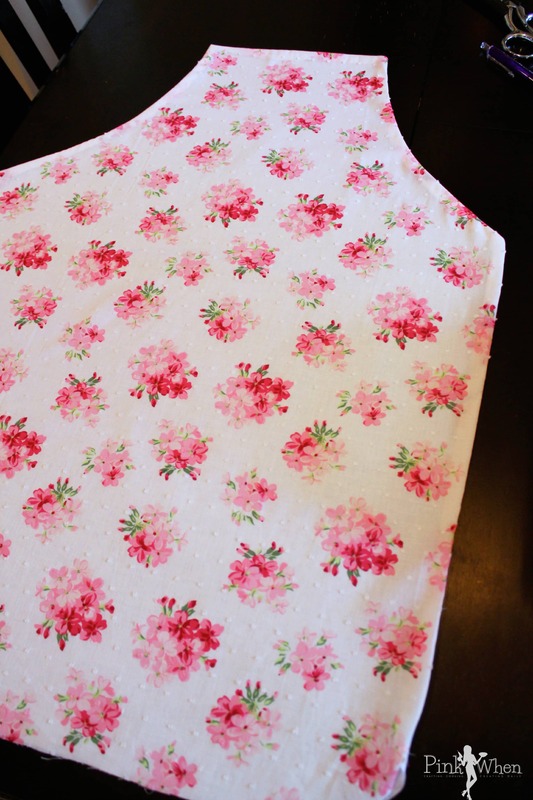 Step 2: After the Broadcloth piece has been cut, place this right side down onto the floral print that is right side up. Pin in place. 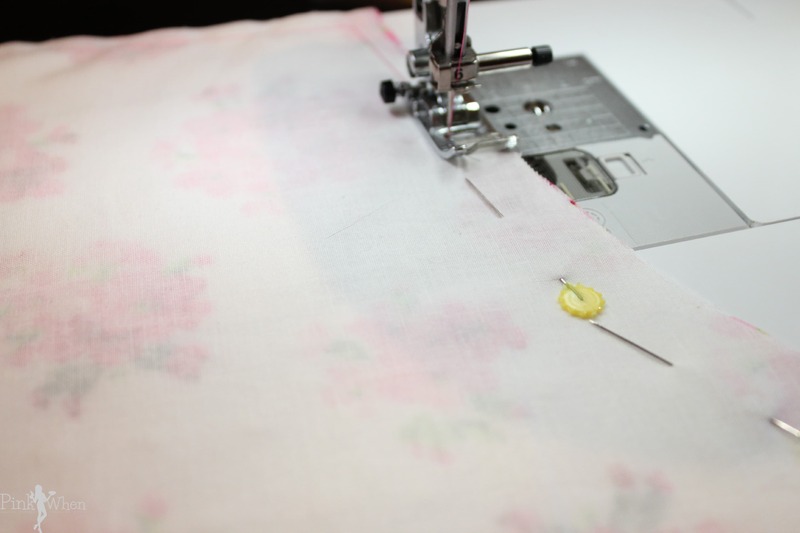 Step 3: Once you have the two pieces pinned together, carefully cut around the edges of the floral print, keeping them pinned together. 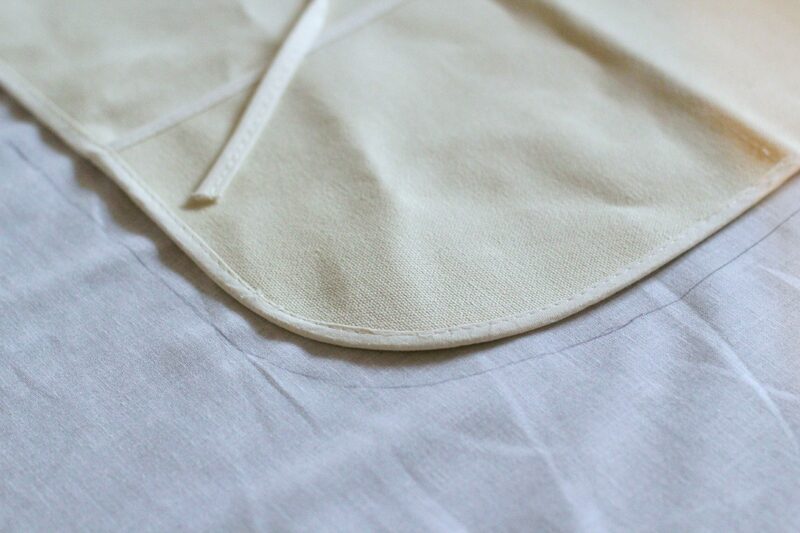 Step 4: Carefully sew a straight line all around the Apron at 1/2″, leaving a small space to turn the Apron inside out when finished. 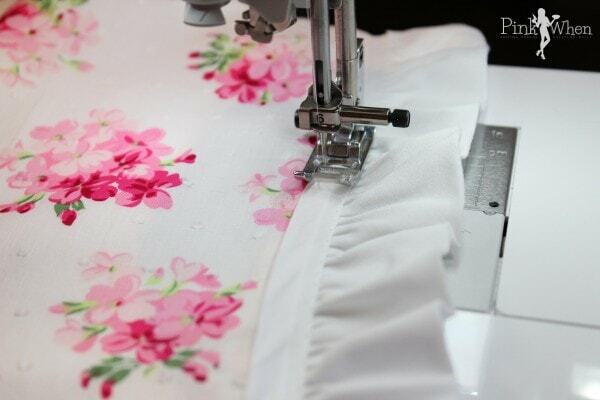 Step 5: Pin and then sew the 2″ white ruffle material all the way around the bottom square of the Apron. 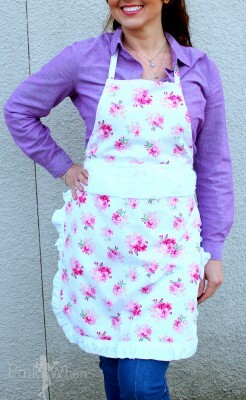 I used exactly 1.5 yards for this, it all depends on what sized apron you make, or you can also make your own ruffles. 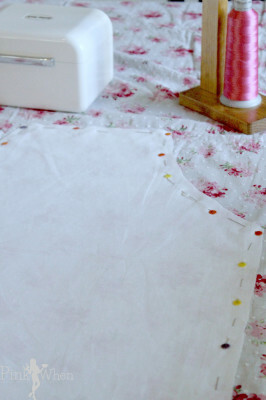 Step 6: Take your white floral chiffon fabric piece and (a) fold it in half, right sides together. (b) Sew a straight edge down the open end lengthwise to create a tube. Then turn the chiffon right side out. (c) Attach this to the front of the Apron and sew two straight edges down both sides to attach securely. Then sew a straight line down the length of the chiffon. 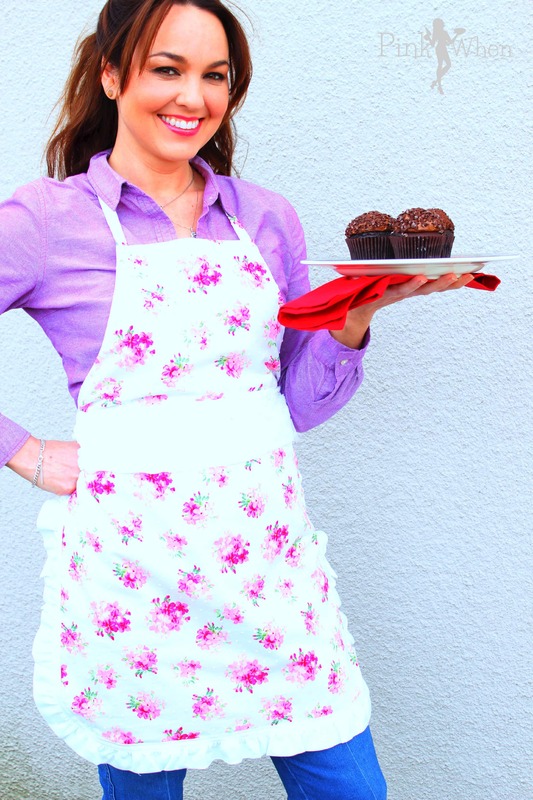 Your DIY Vintage Style Apron should look like this so far…. 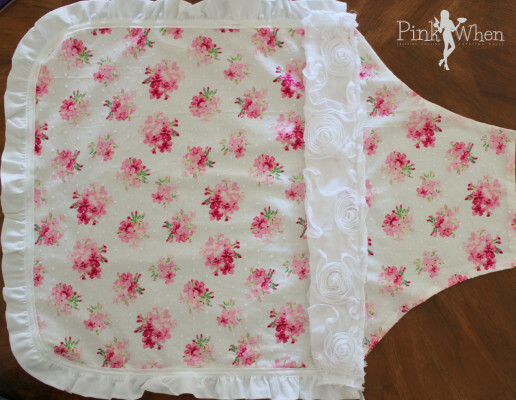 Now it is time to take the 2 white fabric pieces (32″x3″) and the 2 floral fabric pieces (22″ x3″). 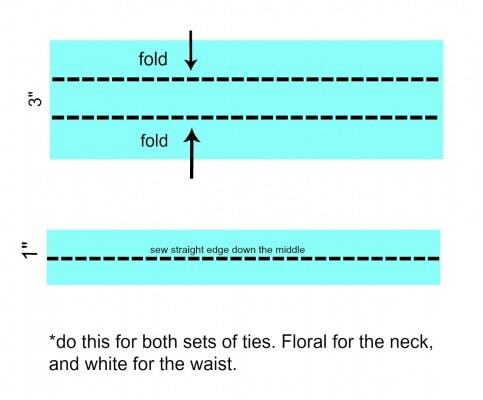 You will fold these in and then sew a straight line down the middle of the tie you created to hold them in place. See the diagram below. Step 7: Attach the ties to the back of the apron securely with several (sewn) rows of straight lines. (Don’t you like my “non-sewing verbage”?) After they are attached, you have completed your apron! Wear it, and wear it proud! What’s your favorite Spring trend or craft trend? I am loving all of these floral trends. Make sure to head over to the JoAnn check out all of the awesome trends and ideas for this Spring, and don’t forget your coupon! I hope you liked my DIY Floral Vintage Style Apron Tutorial. *The following review is part of the Jo-Ann Fabric And Craft Stores® National Craft Month campaign. I received compensation for this review; however, this is my personal, honest opinion based on my experience.